Christmas is almost here! Can you believe the year flew by just like that?! 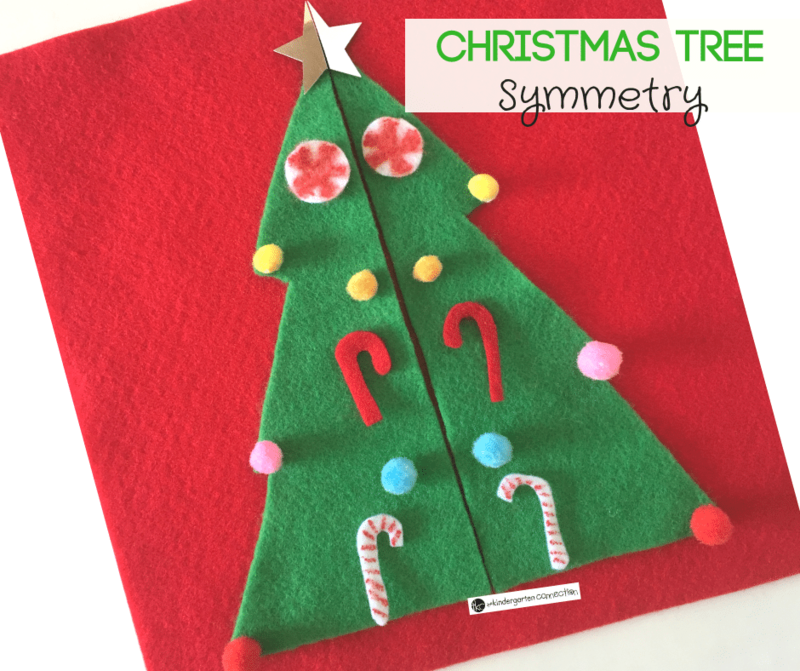 Here is a great Christmas themed activity to learn about symmetry! 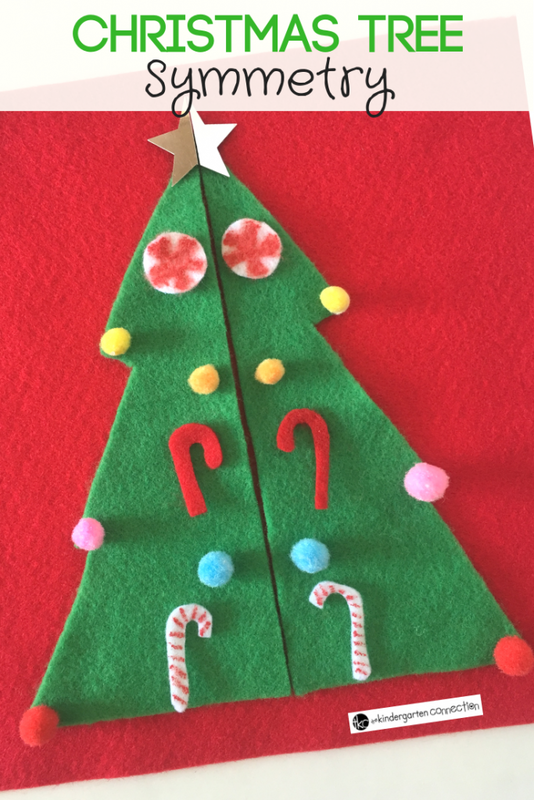 Your students will enjoy practicing symmetry in a unique way with this Christmas Tree Symmetry Activity! 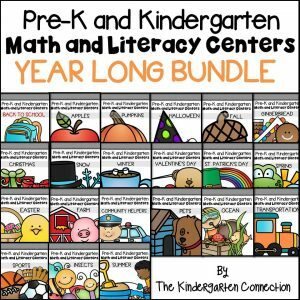 *Pair this with our Shape Centers and Activities for Pre-K/Kinder! 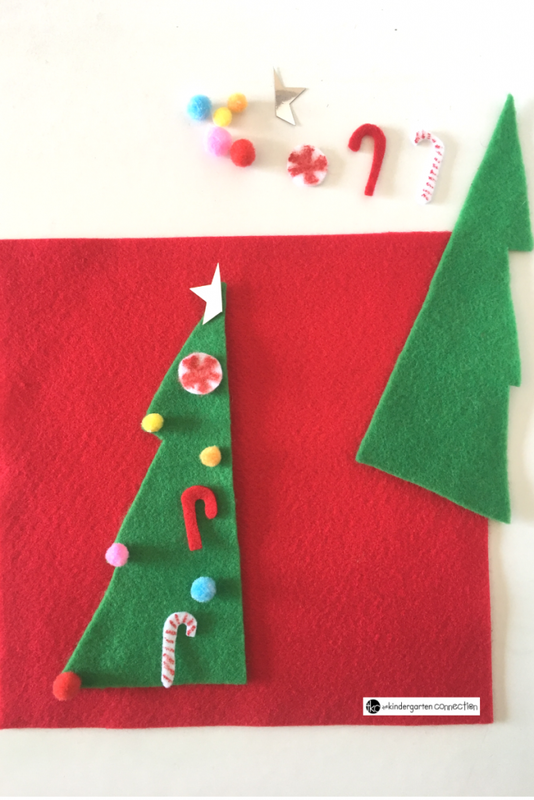 I love using felt for lots of activities, from busy bags, to story time to crafting to fine motor activities. You can, however, use cardboard or craft foam if you do not have felt at hand. It is such a versatile material to use! 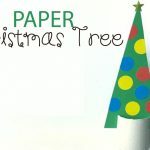 Cut a Christmas tree shape and then cut it in half. 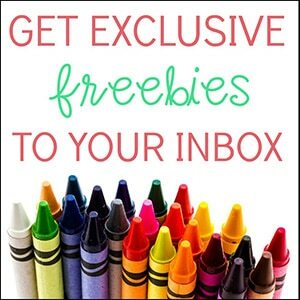 Provide the small items together with either a half filled tree – this is possible in a small group setting, or let two students play together. 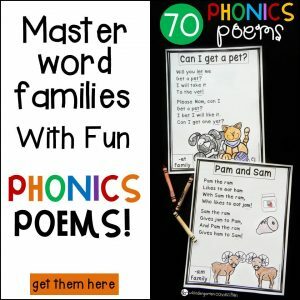 The kids usually love this option! 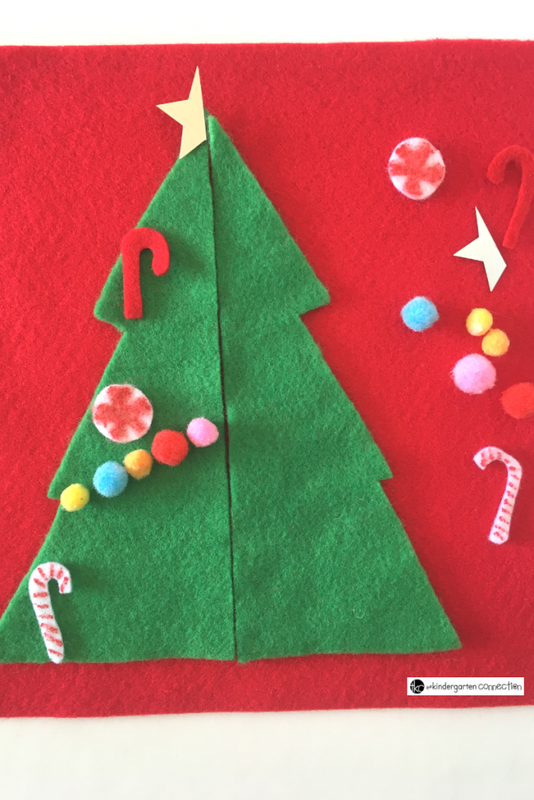 One student can do the setup- filling the first half of the tree, then the friend can “copy” that half so that it is exactly symmetrical. 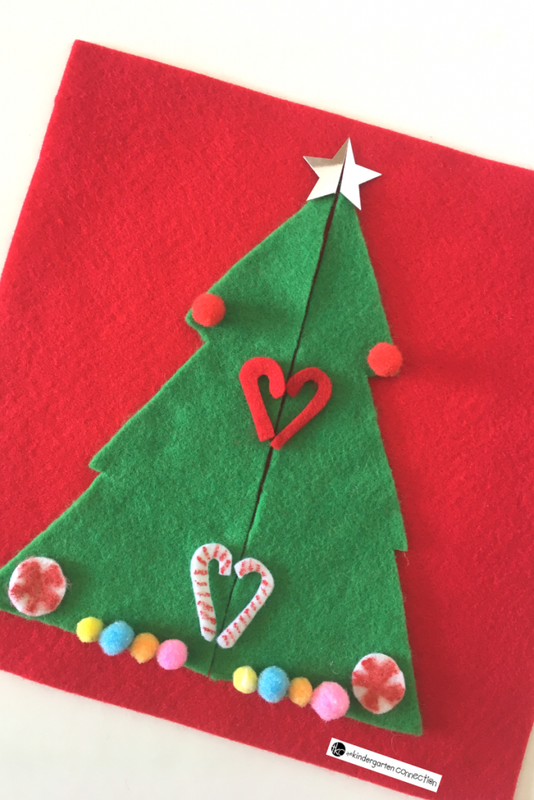 If you want to use this as an independent activity in a class center, you can make cards- take photos of half-filled trees and laminate it, your students can use to copy from. 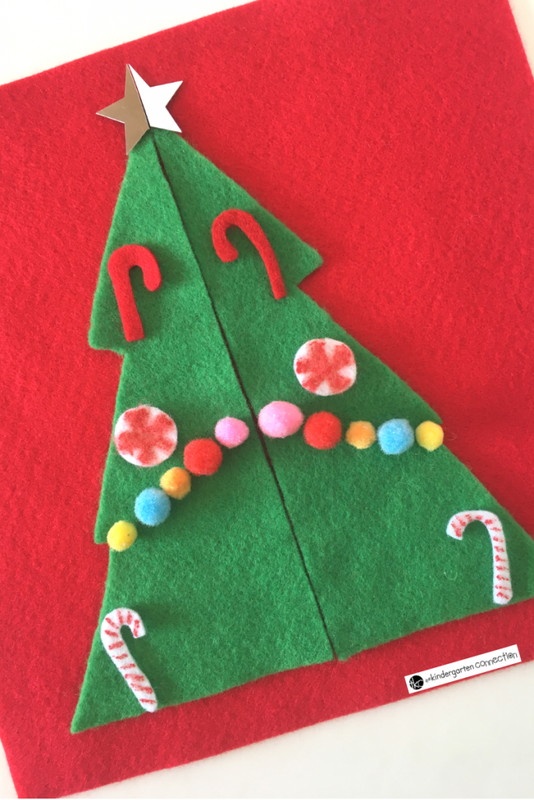 This Christmas Tree Symmetry Activity not only helps student recognize symmetry and completing it, it also works on patterning skills and essentially visual discrimination plus visual closure skills. 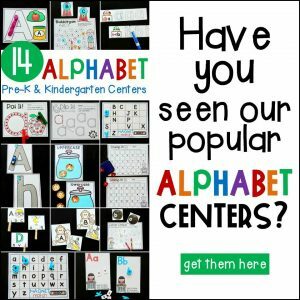 Want to do more symmetry activities? 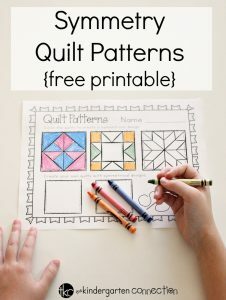 Then, hop on over to see our FREE Symmetry Quilt Patterns Printable!